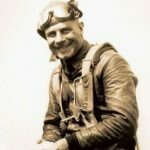 With his flying and academic credentials, Jimmy Doolittle was appointed Chief of the Flight Test Section at McCook Field, the Army Air Service research, development and flight test center. In late summer of 1925 Doolittle was sent to the Anacostia Naval Air Station in Washington, D.C. to receive training in a Navy high-speed seaplane. 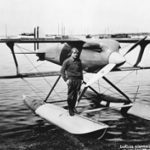 The Navy had entered the purpose-built Curtiss R3C-2 seaplane in the international Schneider Trophy Race, which was to be held in October 1925 over the waters of the Chesapeake Bay near Baltimore, Maryland. Jimmy Doolittle, an Army pilot flying a Navy seaplane, won the trophy with a speed of 232.57 mph. 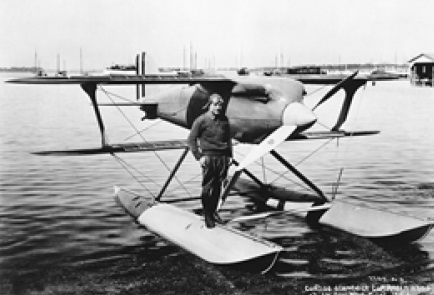 The next day on a straight course he set a new world seaplane speed record of 245.7 mph. In early 1926 the President of the Curtiss Aeroplane Exporting Company asked Doolittle’s Army superiors to put him on extended leave and allow him to go to South America to demonstrate the Curtiss P-1 Hawk fighter to potential military customers. The Army approved of his leave without pay and in April, Doolittle, a Curtiss mechanic, and a crated-up P-1 Hawk sailed for South America. In May 1926 when Doolittle was a guest at a cocktail party hosted by Chilean pilots, he was introduced to a powerful drink called a pisco sour. After a few drinks Doolittle was encouraged to show off his ability to do a hand-stand. When one of the Chilean pilots said that he had seen Douglas Fairbanks, the American movie actor, do a hand-stand on a window ledge, Doolittle complied and did a hand-stand on the ledge of an open window. However, after a few seconds the sandstone ledge crumbled and he fell to the courtyard about 15 feet below, breaking both ankles. to perform the aerobatic flight demonstration to promote the sale of the Curtiss Hawk fighter. 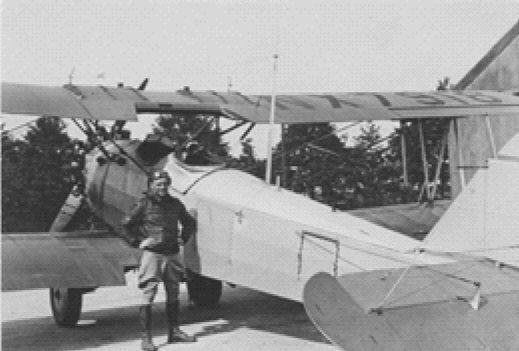 Curtiss subsequently received orders for several Hawk airplanes from Chile and later from Argentina. When Doolittle returned to the states he was transferred to Walter Reed Hospital in Washington, D.C. where he spent a few months healing from the improper casts that were set in South America. He was finally discharged from the hospital in April 1927. Back at McCook Field Doolittle began to consider what human, aerodynamic or structural factors would prevent the successful completion of an “outside” loop. During an inside loop centrifugal-forces kept the pilot in his seat but the outside loop would do the opposite. 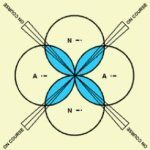 The high g-forces experienced by the pilot during an outside loop may cause high pressure on the brain – would the pilot “red-out” and loose consciousness due to the excessive pressure? Using a P-1 Hawk, one of the latest Army fighters available at McCook Field, Doolittle gradually began to develop the techniques required to perform that difficult maneuver. 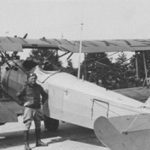 By the end of May 1927 he demonstrated the outside loop to a half-dozen of his fellow pilots, proving that advanced aircraft of the day were capable of withstanding the forces and that the pilot would suffer no ill effects from that extreme flight condition. were not stressed for that maneuver. In any event, Jimmy Doolittle is credited with being the first pilot to successfully perform the outside loop. 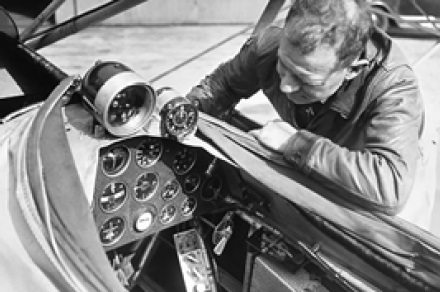 In the late 1920s Elmer Sperry Jr. of the Sperry Gyroscope Co. developed flight instruments aimed at enabling “blind flying.” Funding was provided by the Daniel Guggenheim Fund for the Promotion of Aeronautics. 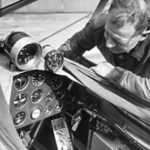 Two of Sperry’s instruments consisted of little gyroscopes in instrument cases: one to determined the direction (called a directional gyro) and the other determined the attitude of the airplane (known as an artificial horizon). New York. With shared goals and common funding, Doolittle teamed with Sperry. Eventually others joined the team including Professor Bill Brown from M.I.T., specialists at the Federal Bureau of Standards, the Army, the Navy, and the Department of Commerce, and engineers from the Pioneer, Taylor and Kollsman Instrument Companies, the Bell and Radio Frequency Laboratories, and the Radio Corporation of America. 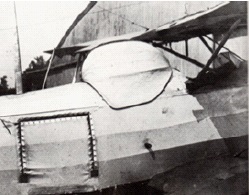 To perform the flight evaluations a two-place Consolidated NY-2 was purchased and modified with an enclosed “hood” for the aft cockpit. “Flying The Beam” radio signals. A recently developed sensitive altimeter was acquired from Paul Kollsman, a German immigrant. To align the aircraft with the runway, radio signals emitting Morse code “N” (dash-dot) and “A” (dot-dash) signals in orthogonal lobes were transmitted. 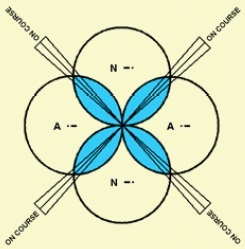 The intersection of the “N” and “A” lobes would be received as a steady, continuous sound. That navigational system got to be known as “flying the beam”. 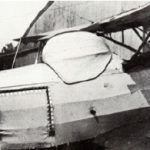 of “Blind Flying” technology, Doolittle was awarded the Harmon Trophy (presented for the most outstanding achievement in the art of flying) in 1929.